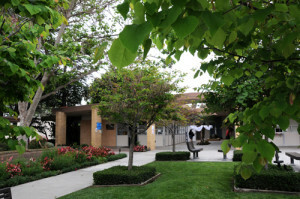 Today there are 45 flower gardens on the 6.5-acre Cornelia Connelly School campus. Our beautiful tapestry of flower gardens began as a challenge from a Connelly Girl – Trina Bruno – in 1991. 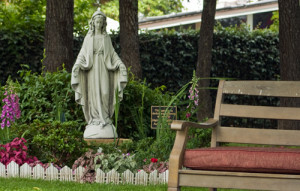 Once a month, the gardens are tended by the Garden Guardians, which is made up of Connelly students, parents, and alumnae volunteers.